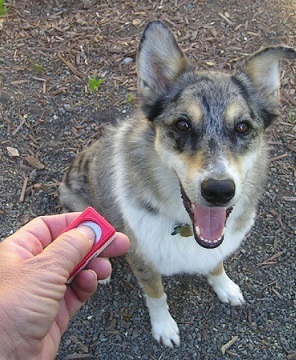 Are you confused about what is a dog training clicker? Don’t worry. In this article, I will explain what is a clicker as well as how does it work. Clicker is a small clever mechanical noisemaker that can be used to train animals. It really doesn’t do much itself. It simply makes a clicking sound every time you click on it. However, if used correctly, that clicking sound can be used instead of treats to mark a behavior being reinforced. How Does the Dog Training Clicker Work? As I already said, a clicker can be used instead of treats to reward a dog for correct behavior. However, before you can say goodbye to treats entirely, you need to get your dog to associate the click with a reward. For that you need to use both – the clicker and treats. 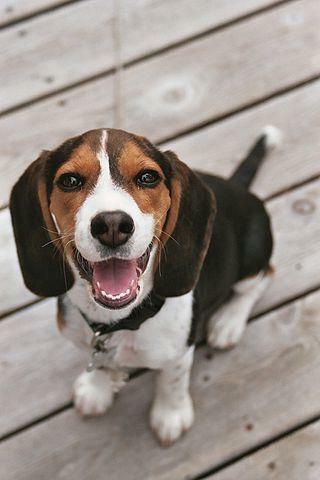 For an example, if you are teaching your dog the “sit” command, click the clicker right after she sits and immediately after give her a treat. That way the dog will associate the click with a treat and after a while she will recognize the click as a reward and you do not need to use treats anymore. If you are interested to buy a dog clicker but don’t know where you could buy one, see Where Can I Buy a Dog Training Clicker.